Great setting and views. Good varied breakfast. Excellent bar and food. Which hotels are closest to the Longyearbyen airport? Where to stay near top Longyearbyen attractions? 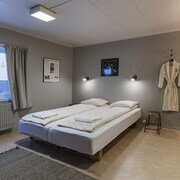 What kind of hotels are in Longyearbyen? Which hotel chains are in Longyearbyen? 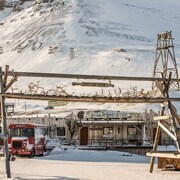 Visitors to Longyearbyen are sure to enjoy the local tours. Tourists can also enjoy the city's glaciers and safari tours. Cultural venues in the city include Svalbard Museum, Atelier Aino, and Galleri Svalbard. A couple of additional sights to add to your agenda are Svalbard Church and University Centre in Svalbard. 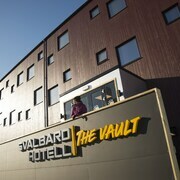 Svalbard Hotell & Lodge - With a stay at this 4-star hotel, guests can enjoy access to a restaurant and free parking, along with free WiFi. It's a favorite with Expedia travelers for its breakfast and helpful staff. Funken Lodge - Our customers like the breakfast and helpful staff at this hotel. This 3.5-star hotel features free breakfast, a restaurant, and free WiFi. Radisson Blu Polar Hotel Spitsbergen - With a stay at this 4-star hotel, guests can enjoy access to free breakfast and a restaurant, along with free WiFi. Expedia customers like its breakfast and helpful staff. Are there hotels in cities near Longyearbyen? 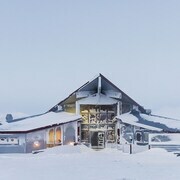 Explore Longyearbyen with Expedia.com.au’s Travel Guides to find the best flights, cars, holiday packages and more!